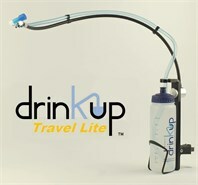 An innovative solution enabling hydration on the move! Please note: colour may be different to that illustrated. Easily attaches horizontally or vertically to circular tubing of wheelchairs/ bedframes with a diameter of 22mm to 35mm. 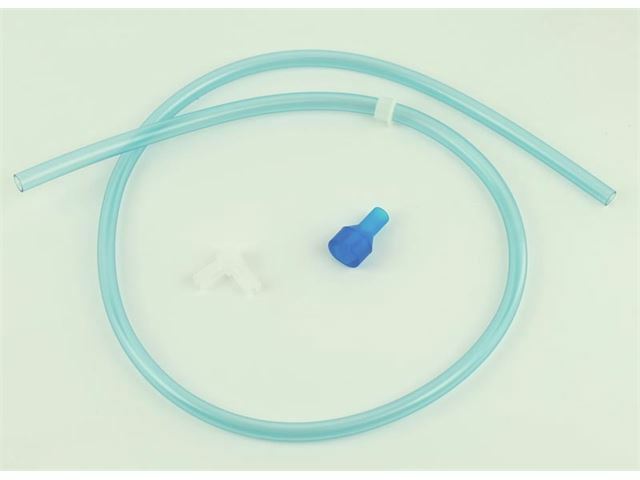 Converts tube-fed hydration bladders and bottles for totally hands-free use! 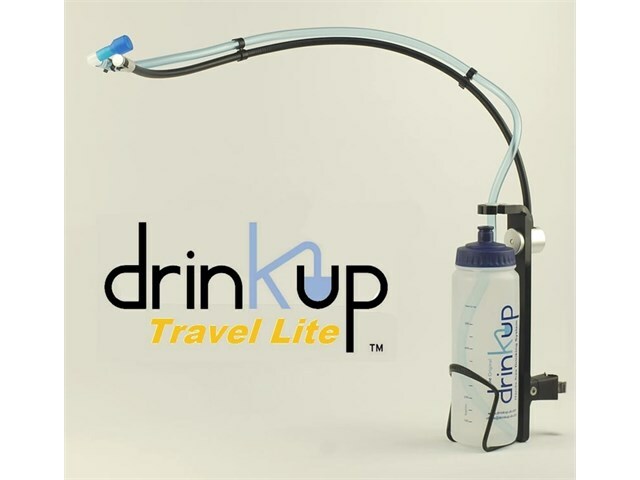 This solution saves time and increases independence, whilst encouraging an individual to drink fluids regularly. 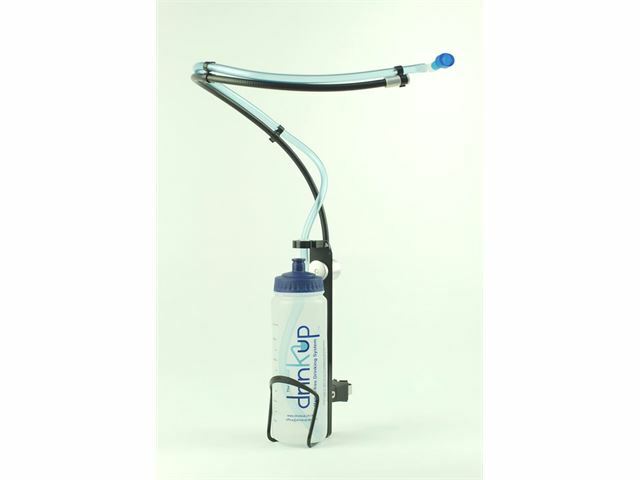 Compatible with The Hydrant, CamelBak® Better Bottles & Reservoirs, Platypus Hoser/Big Zip/Insulator, Sigg Bottles* & disposable 'PET' bottles* (water/soft drink bottles). *When used with SmarTube®. Bottle is included in the pack. 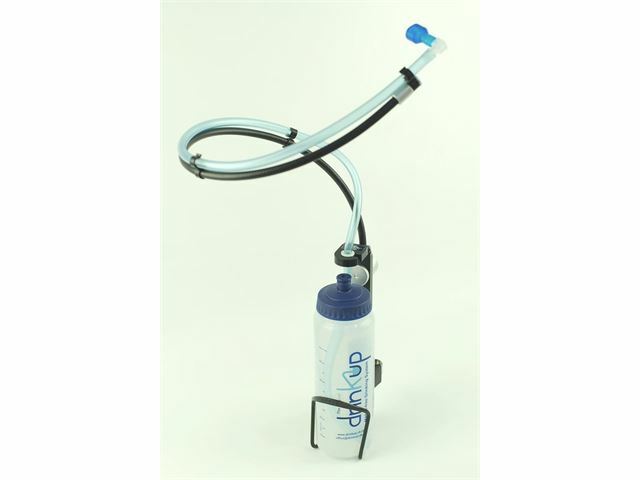 Supplied with: Wheelchair/Powerchair Frame Clamp, Adaptor Set, Flexible Arm, Adjustable Bottle Cage, Drinkup Travel Lite 0.75L Bottle, Bite Valve Holder & Fluid Tube Clips and all fixings, allen keys & instructions.